Sunny Patch is an imaginative world filled with whimsical,adorable characters boys and girls will love. With their Sunny Patch friends to help guide them, children are inspired to learn about and appreciate all living things. Your backyard explorer's eyes will light up when presented with these Sunny Patch character sleeping bags. 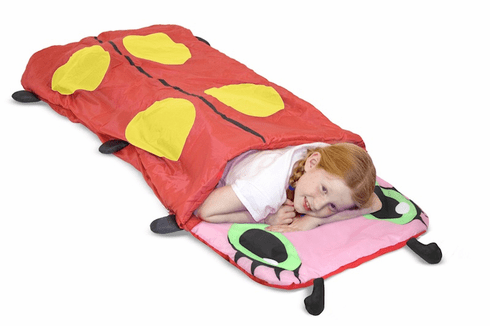 Your child can be snug as a bug and feel safe with friends like Mollie.